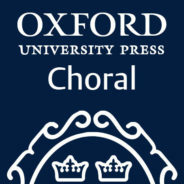 Whether you’re a choral director or a choir member, the Oxford University Press Choral Facebook page is a great place to engage with the wider choral community. The process of ‘creating order’ through categorisation has always constituted an essential part of our social progress because of its measurable functionality. Vocal categorisation has been no exception, but given that all singing voices are unique – the musical equivalent of fingerprints – any attempt at fitting them neatly into categories ought to generate a clear justification for how this might benefit the art as well as the performer. Historically, various models of voice classification developed in order to keep up with the demands of an ever-expanding, rich repertoire. In opera for example, the mezzo-soprano category emerged in the middle of the 18th-century both in Italy and France, because composers began writing higher ornamental passages that pushed up vocal tessitura overall; this triggered the need to differentiate between those singers who could sustain this tessitura and those who could not. This schism also generated a noteworthy status debate, as it is recorded that certain singers insisted on keeping their ‘soprano’ label, despite having to ask composers and orchestras to amend or transpose the music to suit their lower voices. The development of the voice classification system that followed was based on ‘physiological’ features, characteristic to each voice: range, preferred tessitura, colour, flexibility, volume. Typical male and female vocal ranges for choral singers by www.becomesingers.com. Used with permission. Another model of classification is the Fach system, which groups together roles of similar features (character and vocal) – this is subject to socio-temporal ‘tastes’. The usefulness of the Fach system’s many subcategories has been debated upon, and those that are still in use are, arguably, considered most helpful – to both singers and managements. However, since all voices exist on a ‘continuum’, further subdivisions can always be proposed. At present vocal classification plays a crucial role in the development and progress of singers, be it for a solo career or as part of a chorus. One of the main reasons for the importance of classification is that regardless of repertoire, singing is ultimately about vocal comfort. Accurately identifying one’s voice type, alongside a reliable vocal technique, enables the singer to freely portray a character, or to focus on conveying the meaning of the music. 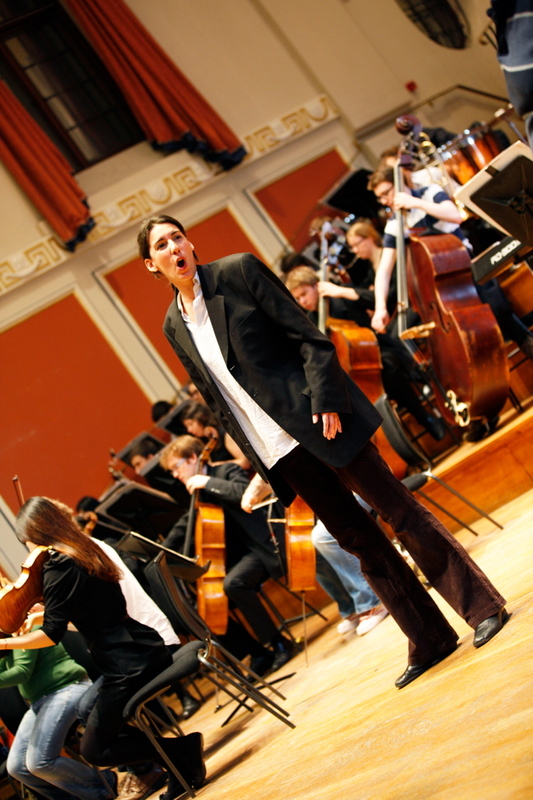 Adriana Festeu (mezzo soprano) playing the role of the young Composer in Ariadne auf Naxos by Richard Strauss. Used with permission from Adriana Festeu. Classification assumes a degree of vocal self-knowledge – not only of one’s range, but of one’s most comfortable tessitura. This is an important distinction to make, as the more trained a voice is, the more likely it is to have expanded in range, and yet the ‘core’ tessitura will remain in place. I have heard quite a few baritones with top notes so secure that they could easily unsettle any tenor, or mezzos able to spin phrases as high as the infamous F6 sung by the ‘Queen of the Night’. But no matter how impressive these features of their voices are, they do not define their category. The main distinction between voice types is made by observing the singer’s preferred tessitura, their flexibility, and their vocal colour and timbre. The issue of preferred tessitura is also important in choral repertoire, where the writing for each voice type requires sustaining a tessitura in a particular register for extended periods of time. For example, sopranos with heavier voices might not be suitable to the soprano section in a choir, since their most comfortable register lies under the secondo passaggio, where most choral music is written; also, their voices might not blend so easily in that register. We should think of the evolution and development of voice and role-classification as a twisted, needs-based construction, rather than an orderly, well thought-through system that it is sometimes presented as. This would encourage us all to think more creatively about our own vocal capabilities, and to accept the fact that some voices will fit more neatly into categories than others. Since each voice is specific to the individual, any systematic categorisation of voice types will inevitably generate exceptional elements – the ever-elusive ‘Zwischenfach’ (Ger. = in between categories). If art is to be served, then we need to be open-minded about the way in which these exceptions can be included and heard. Featured image credit: The word “SING” written in vintage ink stained wooden letterpress type in a partitioned printer’s drawer by enterlinedesign © via Shutterstock. Adriana Festeu is a mezzo-soprano, singing teacher and researcher. She has recently completed her PhD, ‘Exploring Zwischenfach: Understanding Vocal Classification and its Professional Significance’ at the Royal Academy of Music. Her operatic roles have included Charlotte in ‘Werther’ (Massenet), Rosina in ‘The Barber of Seville’ (Rossini), Cenerentola (Rossini), and Carmen (Bizet). Adriana is Senior Lecturer at Leeds College of Music.